This is the easiest and most satisfying Halloween project ever. 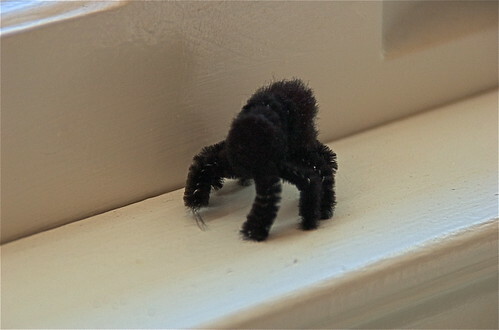 All you need is one black pom-pom and one black pipe cleaner. Just cut your pipe cleaner into four even strips and wrap them around the pom-pom. Once secured in place, bend the legs for a nice creepy crawly effect, and you are done.